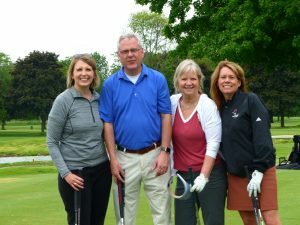 We hosted our annual RCM Scholarship Golf Classic at the Wisconsin Club on Monday, June 11th. The golfers enjoyed a great day of golf with games and beverages on the course, bidding on our fabulous auction items and, of course, Rotary camaraderie. Dozens more headed out to the Wisconsin Club for cocktails and dinner which greatly added to the festive feel of the evening. Thanks to the generosity of our members and the community, we raised nearly $70,000 for student scholarships! Many thanks to our chairs—Chris Corley and Patrick Fennelly and to all the members of the golf committee. And, thanks to all of you our generous sponsors and those who golfed, dined, donated or shopped at the event. Your support is transforming the lives of young students by providing them financial support and mentoring from Rotarians.